History is all around us. We find it everywhere we go. When you look deep enough, you will find layers and layers of history that provides significance to our modern world. Follow our History Hiker journeys to places around the world. We will visit historical battle grounds, cathedrals, castles, and much more. Listen to local historians, curators, and guides share the past with you. 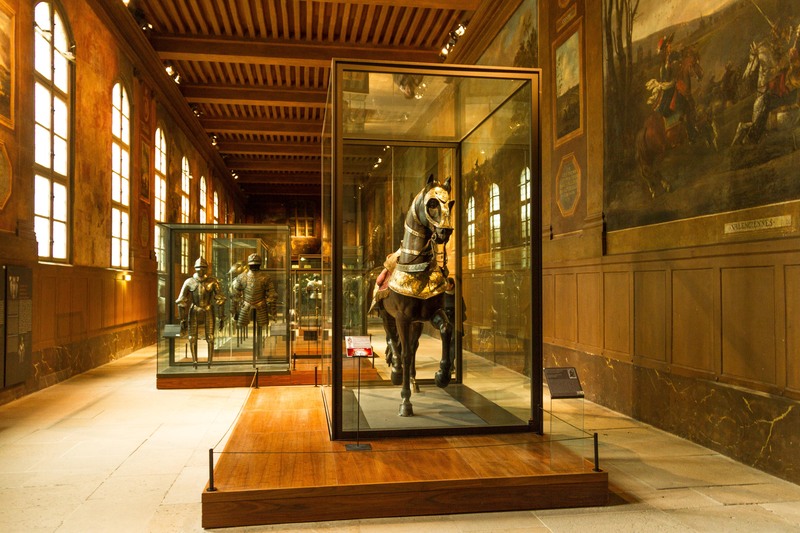 If you travel to Paris in search of knights in shining armor, a majestic cathedral, and world class tour guides, then you can get all three at the Musée de l’Armée. The museum was built in 1905 and it is located in the inspiring location of the Hôtel National des Invalides. The museum can be seen throughout Paris with it’s distinctive golden dome, which covers the tomb of Napoleon I.
I couldn’t possibly describe all the amazing things to see and do at the museum, but here are World Travelers Today’s 5 Reasons to visit the Musée de l’Armée. Cathedral of Saint-Louis Des Invalides. The cathedral was built in 1676 by Jules Hardon-Mansarat. The design combined a royal chapel, Dôme des Invalides, and a veterans chapel. According to my awesome guide, the design was to allow the King and his soldiers the ability to attend mass together. During my visit, I was fortunate to see an orchestra rehearsing for their show in the cathedral during my visit. They were inspiring and set the tone for an amazing day at the museum. Vistors should know that the church is free to visit during operating hours, but purchased tickets are needed to enter the museum. The cathedral is packed with history and ornate decorations and is a must see during your visit. #4 The Museum has over 500,000 historical items. Repeat, over 500,000! They have cannons! Loads of big cannons! The medieval armory was one of my favorite sections in the museum. It has thousands of swords, shields, armor, and cannons. 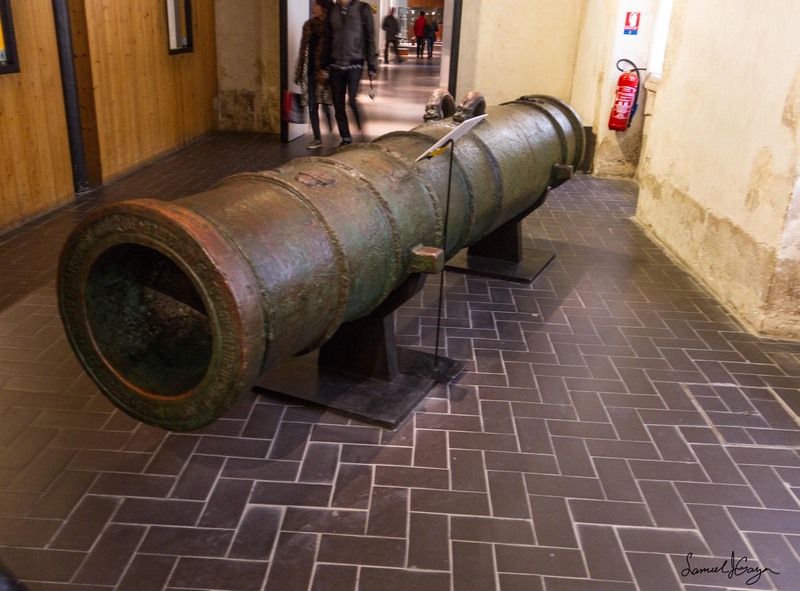 However, there is only a certain amount of space to display all the important historical items so most of the space is carefully filled with amazing artifacts like the huge cannon above. Windows so visitors can watch curators attend to thousands of pieces of armor in the museum. 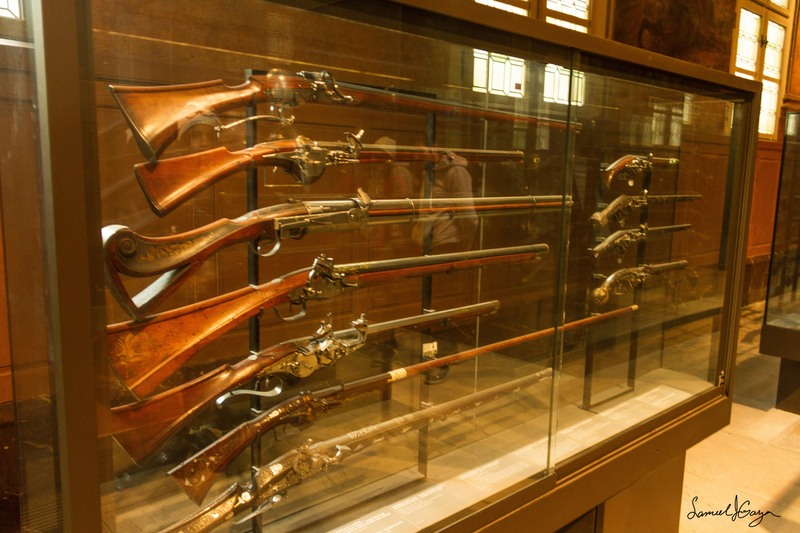 The window displays allows visitors to see what a real arsenal would have looked like. Visitors can see what options soldiers had for weaponry before battle. The windows also provide visitors a behind the scenes view of artifacts that would have been otherwise hidden behind closed doors due to the lack of space in the museum. I think this is genius. The armor of King Francis I of France. The armor pictured above was a gift presented to King Francis I. He never wore the armor but the design and detail of the armor is stunning. There are several imbedded pieces like the Fleur-de-lis which represent the French monarchy. The armor is usually displayed on the first floor on a horse. You cannot possibly see all 500,000 items that the museum holds, but you will no doubt see some of their most famous pieces like King Francis I armor. Take your time walking through the many historical time period sections and don’t be afraid to ask staff questions. #3 The World War I & World War II displays. Visitors will learn that this area of the museum has more to offer than the displays of the two world wars. You will also learn about France’s military history from 1871 – 1945. However, the world war displays are incredible. 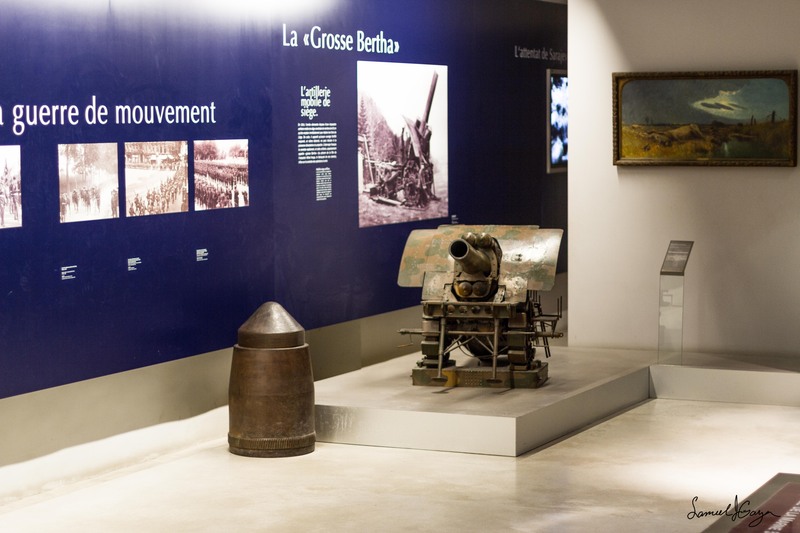 The rooms are filled with hundreds of pieces that show visitors French uniforms, the first machine gun tripod, and a video of the time period. There is also an American volunteer display. I was fascinated to learn that many of the Americans wore mixed uniforms. For example, they could be wearing French pants with a British coat. I had no idea Americans were volunteering to fight before the U.S. officially joined sides with the allies. 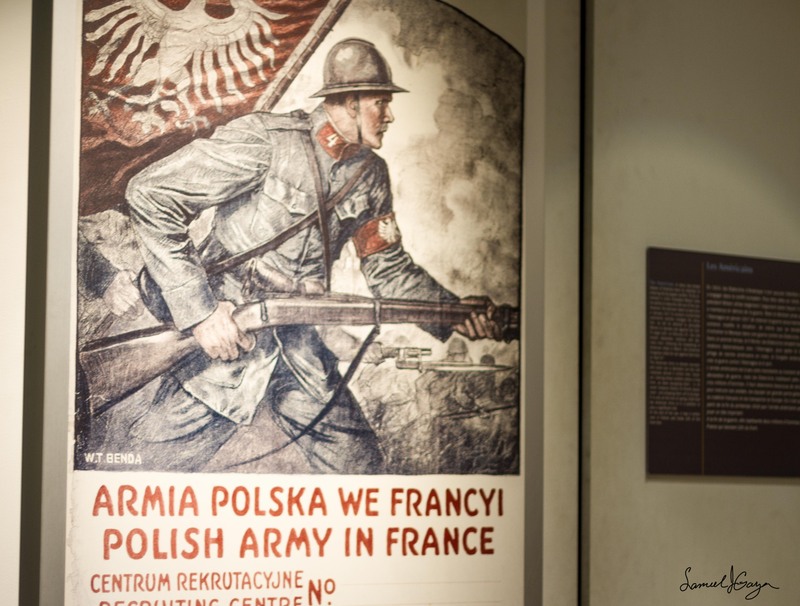 Once you walk through the World War I section, you will see the artifacts from World War II. The French call this period the “Black Years” and especially with the defeat in 1940 and the subsequent occupation of their country by Germany. There is a display explaining the French Resistance, which I highly recommend you taking the time to learn more about. Take your time walking through this section. There is so much to see and read about. 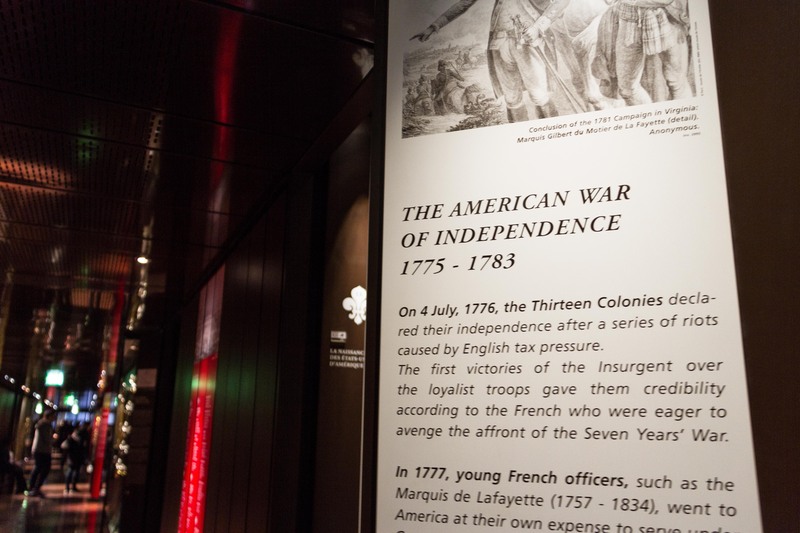 There is also a very creative video that helps visitors learn more about France’s role in this time period. I couldn’t have been more pleased with the museum’s staff and facilities. My personal guide was Beatrice Six. Beatrice, was kind, professional, and informative. She has a passion for her work and her goal was to ensure I learned about every item I asked about. Her charm and patience was much appreciated. However, you don’t have to hire a guide at the museum. Another option for individuals or groups is to purchase digital guides for €5.00 per person. Follow this link to learn more about booking tour guides at the museum. Napoleon I’s tomb lays under the Dôme des Invalides which is a prominent monument in the Parisian landscape. The story of how Napoleon’s remains came here is a lengthy one, so I’ll leave it to you to find out the details during your visit. However here is the short version. Napoleon died on May 5, 1821 and was buried on the island of Saint Helena. In 1840, King Louis-Philippe decided to transfer Napoleon’s remains from Saint Helena to Paris. After extensive renovations under the dome, Napoleon was finally laid to rest under the dome in 1861. Learn more about the tomb by visiting the museum. There is so much see and learn about by visiting this amazing French treasure. Ensure a visit to the museum is on your list when you visit Paris. The museum offers visitors a window into the past of not only France’s history, but also the rest of Europe. The museum’s cathedral, 500,000 items, the World War I /World War II sections, the museum’s staff, and Napoleon I tomb are a few of the many reasons to visit. I found the museum with ease and it was not overcrowded with tourist so take the time to checkout what this amazing museum has to offer. 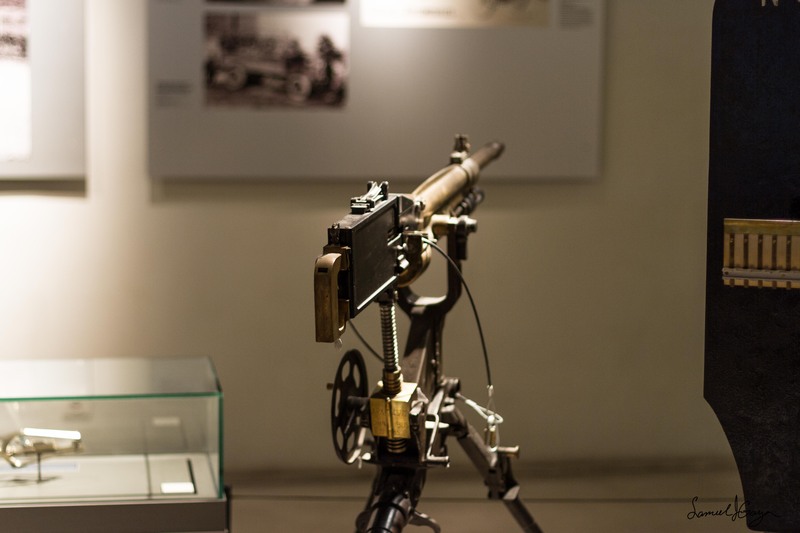 UPDATE: In December 2015, the museum opened a new section for small arms. Ensure you check out the new section and provide your thoughts in the comments below. Visit the museum’s website for more information and to plan your trip.